When I bought this truck, one of the first things I did was retrofit HIDs onto it. Whoever designed the lighting for this truck has never driven at night, or at least never thought to test their work. 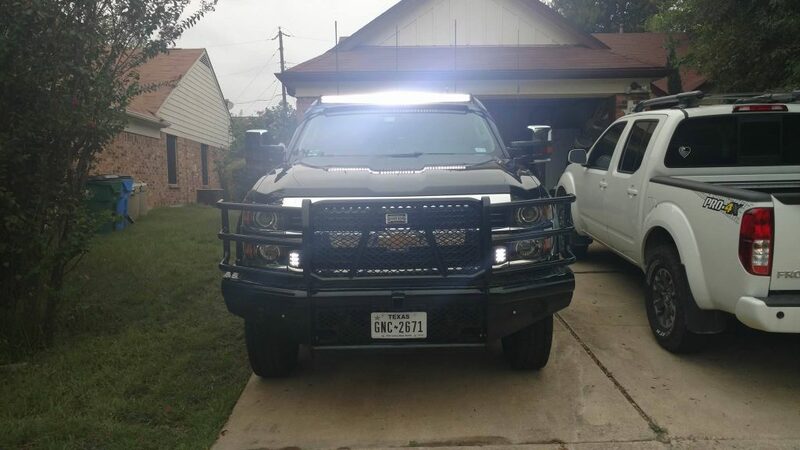 It’s a very common complaint over at duramaxforum.com, and there are lots of kits to address it, and it is very obvious why once you drive a stock truck like this at night. I went with the Morimoto 35w 5500K HID kit and their matching fog lights. I’ve been very happy with the purchase, and it’s a huge improvement over stock. Still, lighting is one of those things that when you need it, you really need it. And I wanted to add some additional lighting to further improve things. 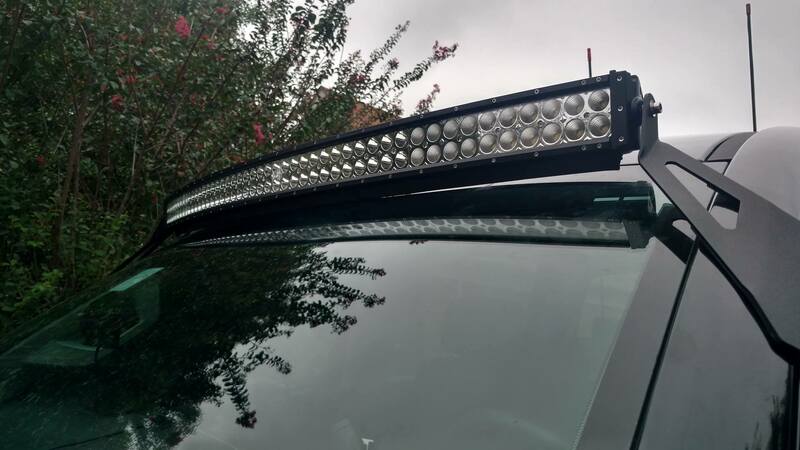 I ended up buying a Rough Country light bar mounting bracket kit, which required drilling into the A pillars of the truck. Unfortunately, when drilling, the bit broke right as the hole broke through and the tip of the remaining bit banged up against the outside of the A pillar, denting it and disturbing the paint. So this mod is now irreversible (at least according to my standards) unless I want to go to a body shop. I paired the mounts with a SLDX 288w light kit that came with two 18w spots. The kit is sort of a knock off/clone kit of the Rigid bars, but is a tenth of the cost and has great reviews, so I figured I would give it a try. It’s difficult to see how bright it is during the day, but it is far brighter than the headlights could legally ever be at night. 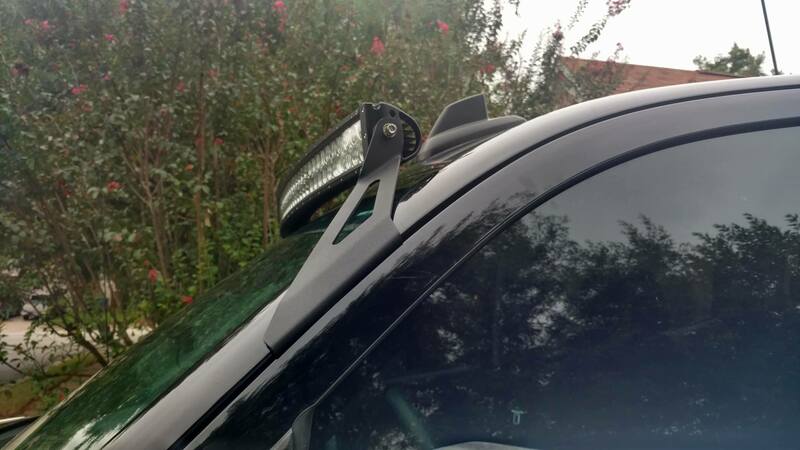 I drilled into the Ranch Hand bumper to mount the standalone lights, which worked well. I’m not 100% happy with the mounting of the bar because of a couple reasons. One, the passenger side mount feels a little loose. It is riveted in and the only way to re-rivet it is to drill them out. I’m going to wait and see if it fails before bothering with that. With the light bar on it is pulled taut and feels solid, so it may not be an issue. It was my first time dealing with a riveting gun and I don’t think I had it pressed hard enough against the rivets to seat properly. The driver’s side was my second take, and turned out perfect. Second, the light wants to tilt downward. 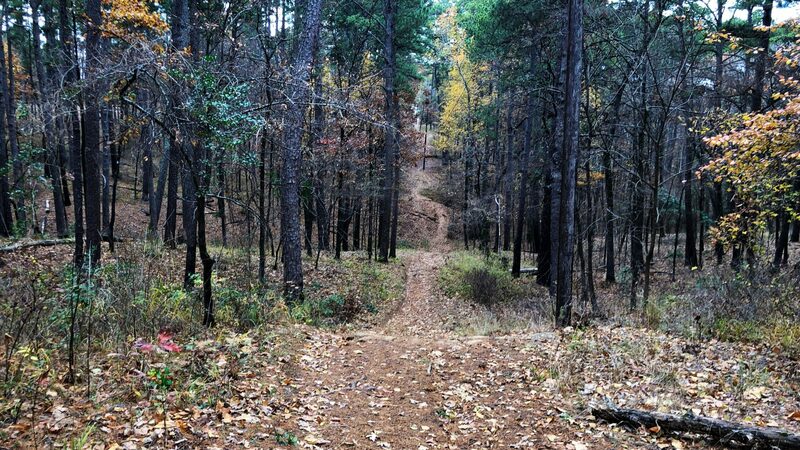 There is nothing on the Rough Country brackets to prevent them from doing so, so I’m pretty sure this is not a product of the light, but a product of the mount. The lights have a keyed edge on them that would ordinarily grab and hold the mounts they come with. 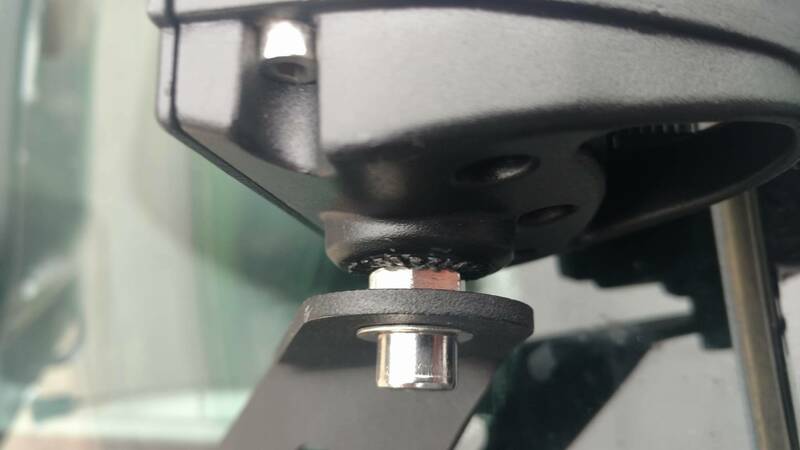 I have to believe this would be an issue with any light and these mounts. I used a nut between the light and mount to hopefully hold it steady, but time will tell. The points of the nut lock into the keying on the light, so the only question is if I have the nut tight enough against the mount to hold. It is pretty tight but could potentially be a little tighter if I had a thinner wrench that would actually fit down between the two surfaces. There was a very loud and annoying whistle on my first test drive. I found some weather stripping in my garage and put it on the bottom of the light, which eliminated 85% of the noise. The other 15% is within my expectations, but I ordered some more weather stripping to put on another couple heatsink fins to see if it helps. For the switch, I tossed out the cheap switch it came with and decided to use this little rocker switch I found on Amazon. I was looking for a basic switch and ran across this, for about $10. 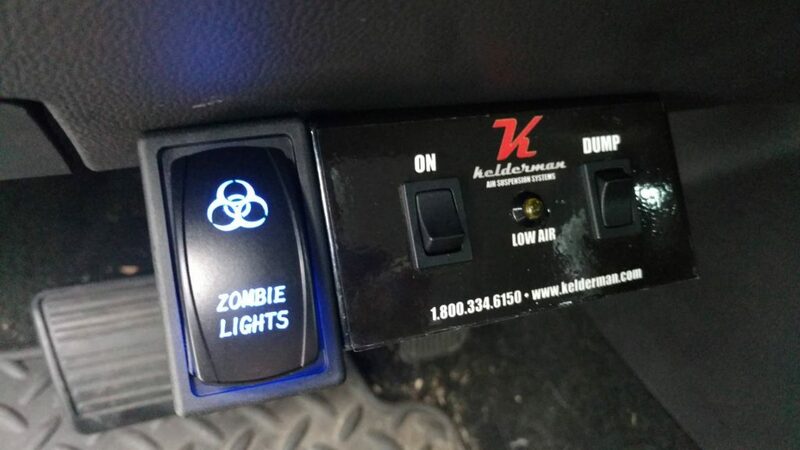 I used exterior attachment tape to stick it onto the Kelderman controls that are screwed to the underside of the dashboard. For this particular logo I would have rather had red, but it was out of stock. The wiring harness was designed to run the bar and the standalone lights separately, but I chopped the standalone harness and integrated it into the bar, so there is only a single switch. This is a lot of light for a $180 investment.